Viewing all of the attachments in a message thread within iOS 7 has never been particularly easy. 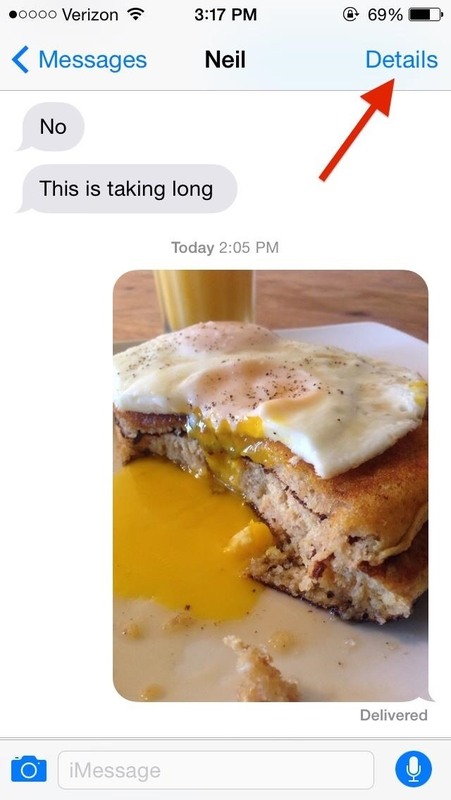 To see every single picture and video dating back to the beginning of the conversation, you have to manually scroll through the entire conversation and refresh it until all of it appears on your screen. Depending on how long the conversation is, that could take some time. 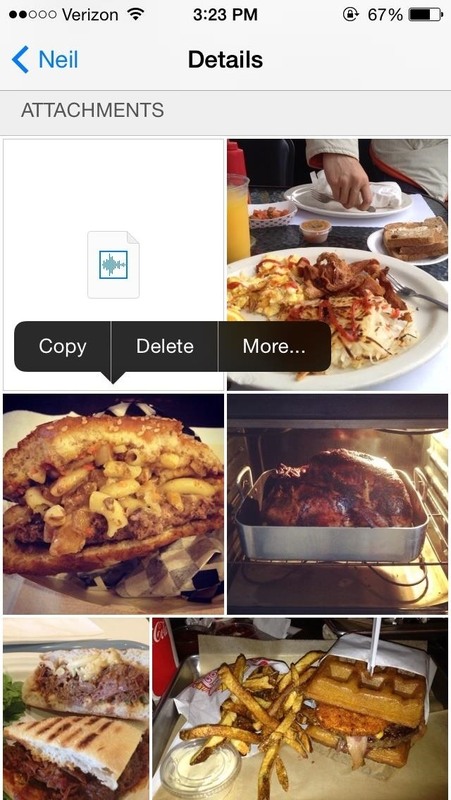 Thankfully, iOS 8 now makes it easy to view all of the attachments sent from you and friends. Directly from the thread that you want to view attachments for, tap on Details in the top right. 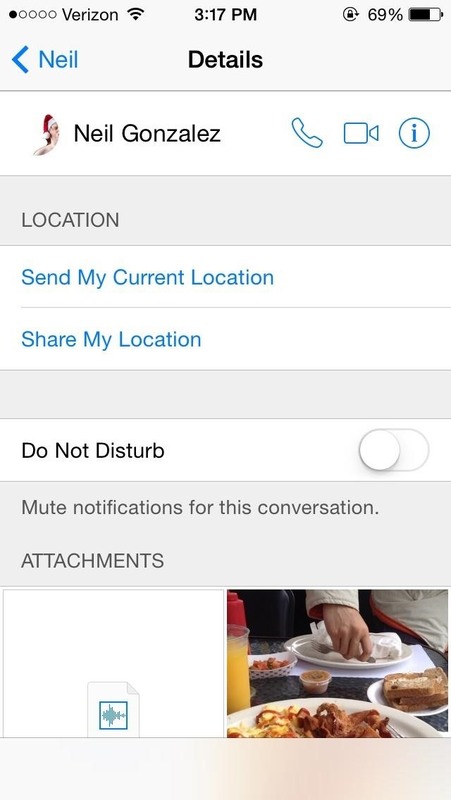 Here you'll find info about your contact, share location options, notifications toggle, and lastly, Attachments. Instead of swiping up through your extensive conversation, you can now view all of the attachments ever sent between you and the other person(s)—whether it be pictures, videos, or audio attachments. 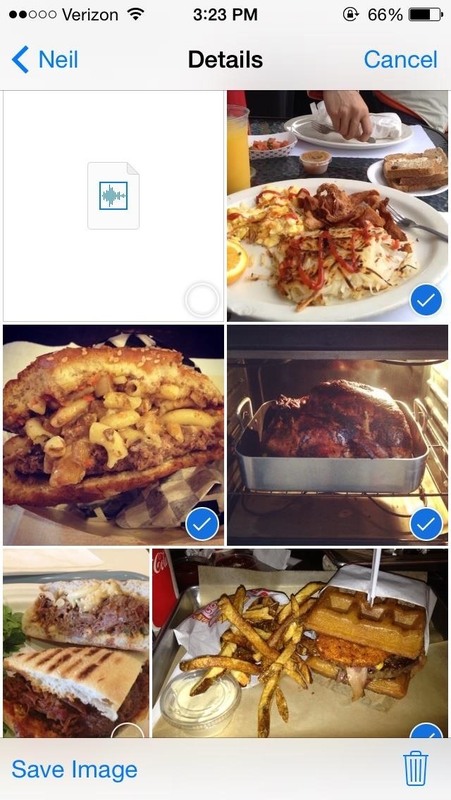 In order to save a picture, you can do it individually by holding down on it, tapping on More..., and then checking all of the images you want to save. After you've got everything checked, just hit the Save # Images link in the bottom left. Note that if you're only saving videos, it'll say "Save # Videos," and if you mix and match filetypes, it'll say "Save # Attachments" instead. It's these little improvements that make you wonder why they weren't available in the first place, especially when backing up media from Messages in iOS 7 was such a pain. But better late than never, as the say. How come some of my contacts have this and others don't?